JPMorgan Chase CEO Jamie Dimon plunked down $26.6 million of his own money on Thursday to buy his bank's recently battered shares. The purchase, disclosed in a company filing, added 500,000 shares of JPMorgan Chase to his portfolio and various family trusts. It brings his total JPM holdings to 6.7 million shares, worth $358 million based on Thursday's closing price. The purchase is somewhat unusual. The overwhelming majority of shares accumulated by CEOs come in the form of stock grants directly from the company or stock options, which typically allow them to purchase at a greatly reduced price. Thursday's purchase, at an average price of $53.18 per share, basically represents Dimon's total pay for 2015, when he received $27 million, most of it in the form of stock. But it also might be a very good time to buy. JPMorgan (JPM) shares are down nearly 20% this year, and are off 25% from the bank's all-time high reached last July. Most bank stocks have taken steep dives in the current rout in global equity markets. Rivals Citigroup (C) and Bank of America (BAC) are each down more than 30% in 2016, while Goldman Sachs (GS) is off 22%. Of course, JPMorgan is a healthy business. The bank reported record net income of $24.4 billion last year, up 12% from 2014. 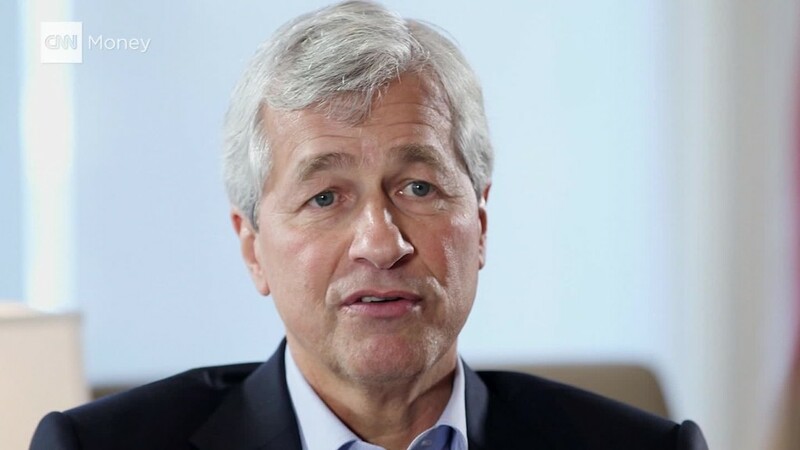 Spokesmen for JPMorgan Chase, the nation's largest bank, did not have an immediate comment on Dimon's purchase.